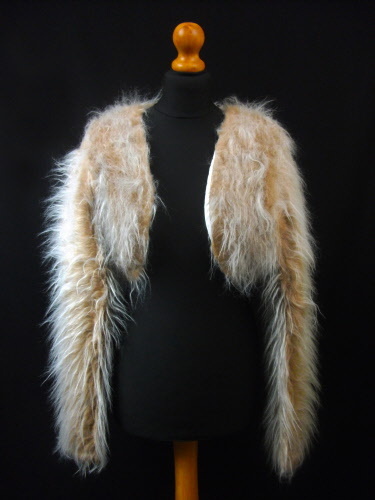 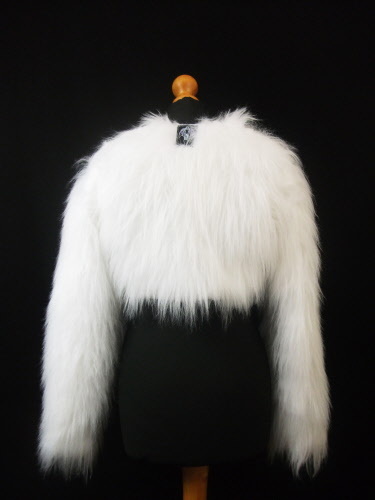 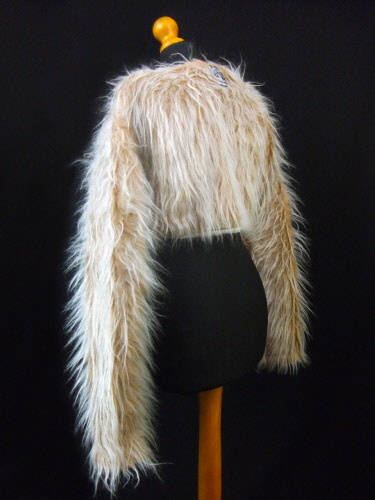 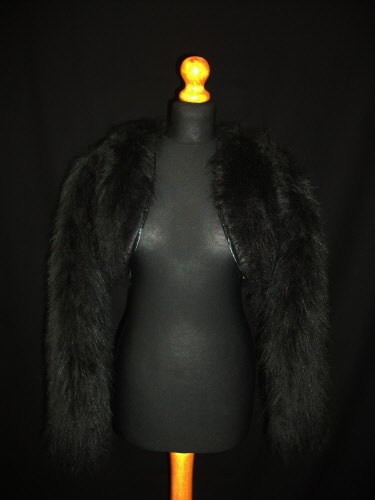 Soft, warm fur boleros to compliment your style. 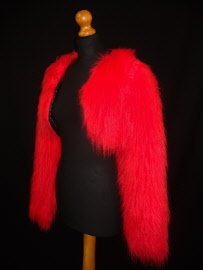 Made with thick, soft faux fur with a satin liner, these jackets are comfortable, warm and eye catching. 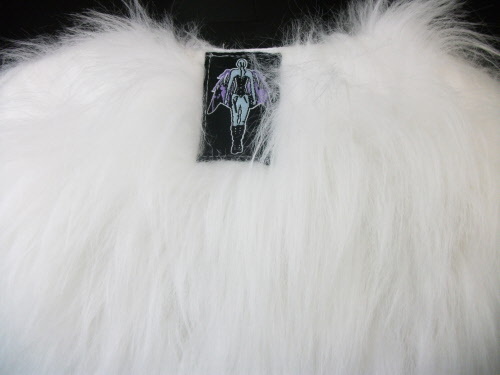 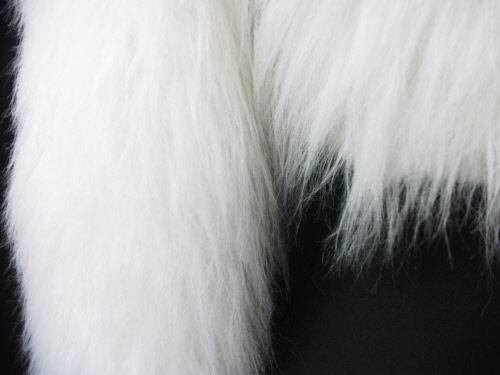 Soft, thick, white faux fur with quality dupion satin liner. 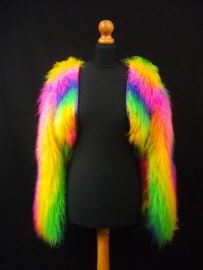 Perfect for wedding dresses and covering the shoulders in the evening - it even glows under UV light on the dance floor! 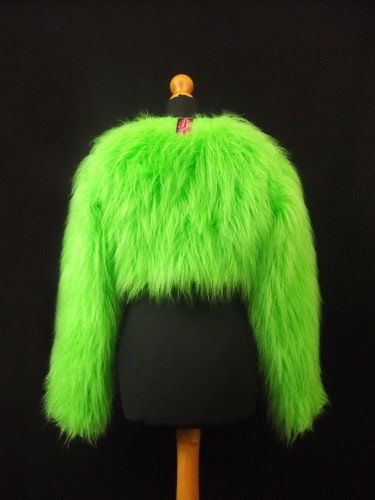 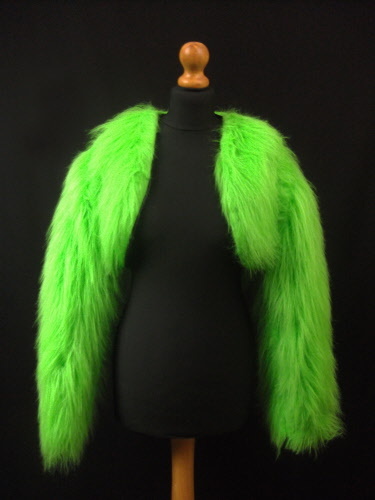 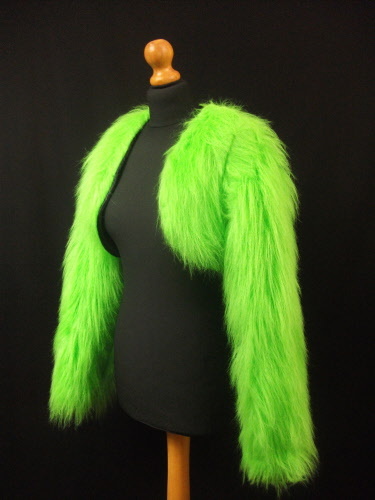 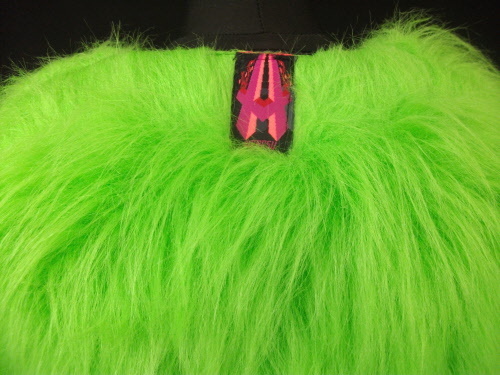 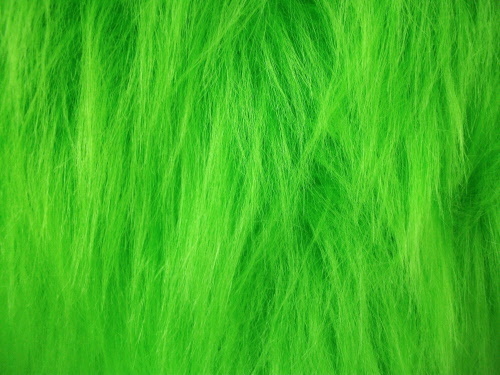 Soft, thick, lime green faux fur with quality dupion satin liner. 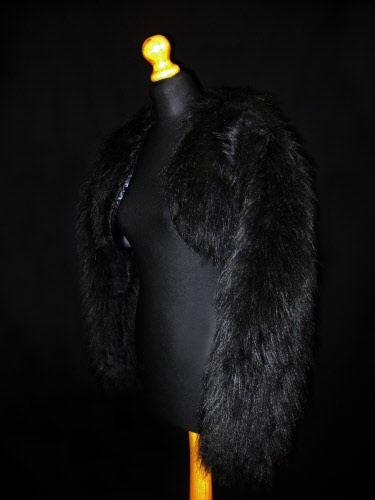 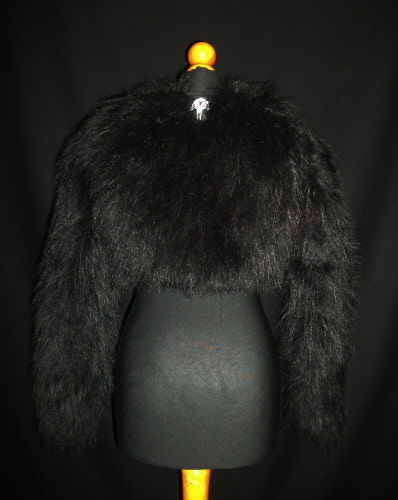 Soft, thick, black faux fur with quality dupion satin liner. 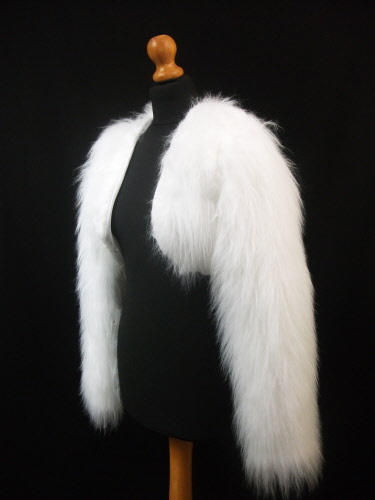 Perfect for wedding dresses and covering the shoulders in the evening. 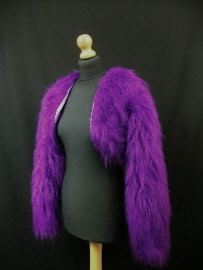 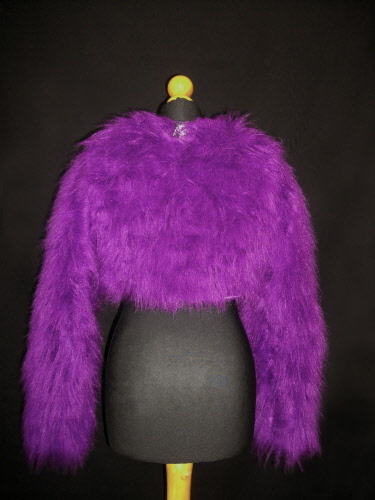 Soft, thick, purple faux fur with quality dupion satin liner. 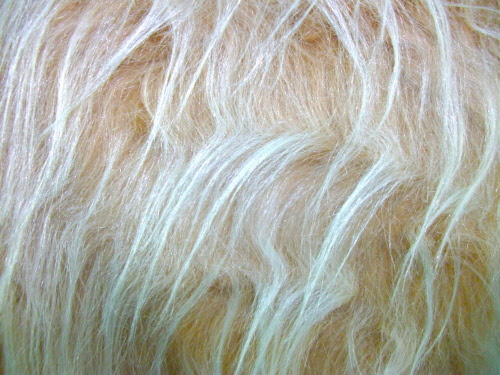 Faun faux fur with quality dupion satin liner. 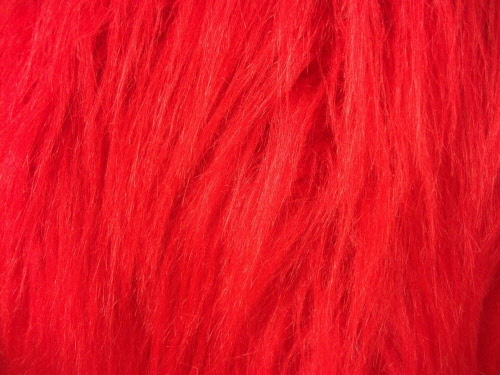 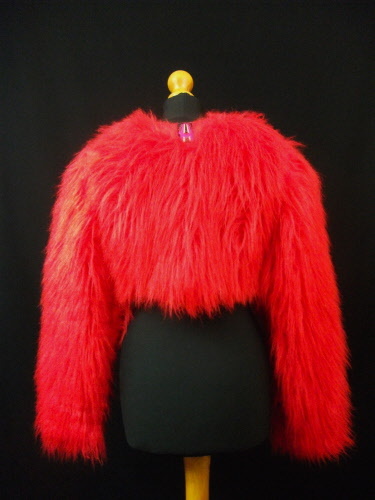 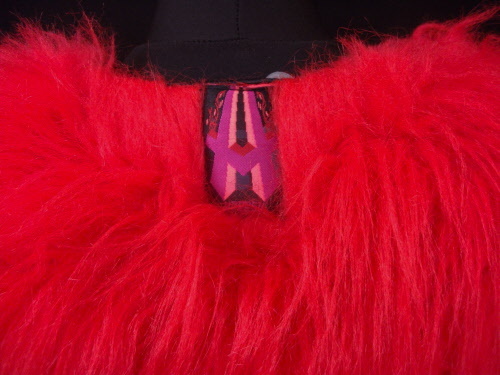 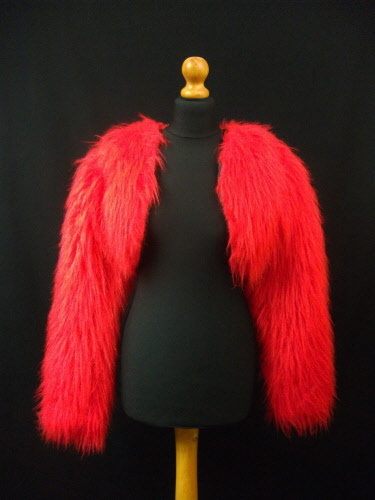 Soft, thick, red faux fur with quality dupion satin liner. 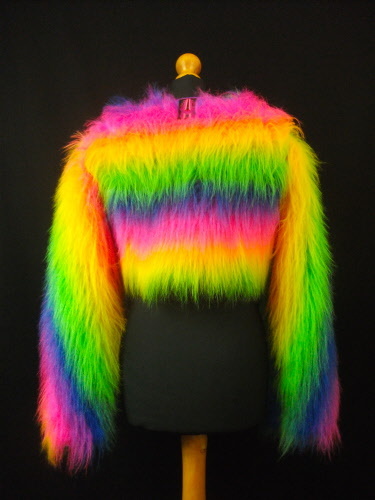 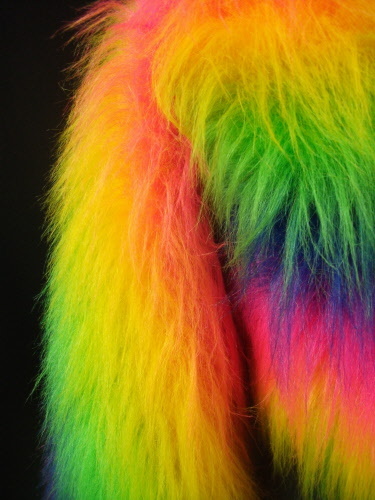 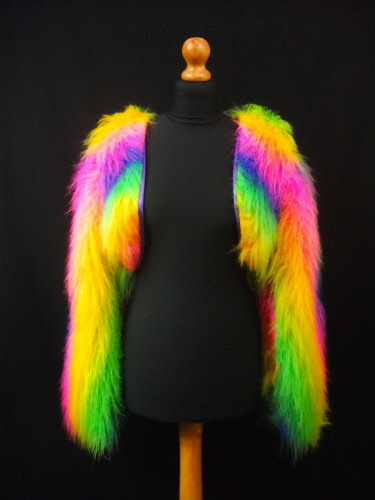 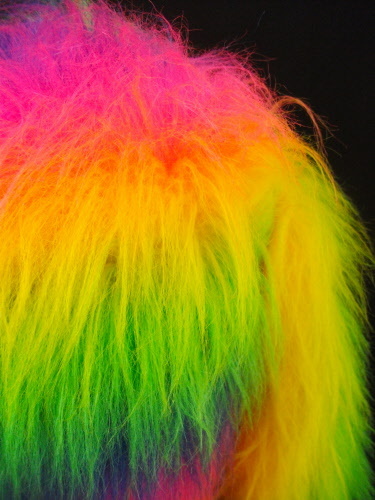 Soft, thick, rainbox faux fur with quality dupion satin liner.